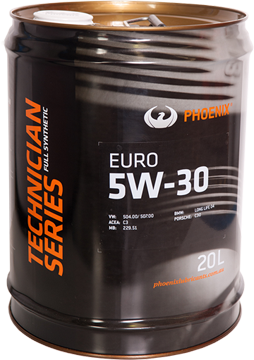 PX Technician Series Euro 5W-30 is an Ultra High Performance Diesel (UHPD) low SAP lubricant that is specifically formulated with ultimate active clean technology. It is blended only high quality synthetic base fluid and the high technology core additive package that meets the requirements of ACEA C3, MB-Approval 229.51 and VW 504 00/ 507 00. PX Technician Series Euro provides high temperature protection, exceeding the tough standards against thermal breakdown. It can dramatically reduce the carbon deposit from building up on engine surfaces while protecting sensitive exhaust gas treatment systems. • Formulated specially for use in HD diesel engines with after treatment devices. • Satisfying multiple OEM diesel requirements. • Provide superior performance in long drain applications. • Excellent protection for Diesel Particulate Filters (DPF), turbo and multivalve engines.